Teachers at Columbine Middle School teach using the SAMR Model as a guide to planning their lessons. 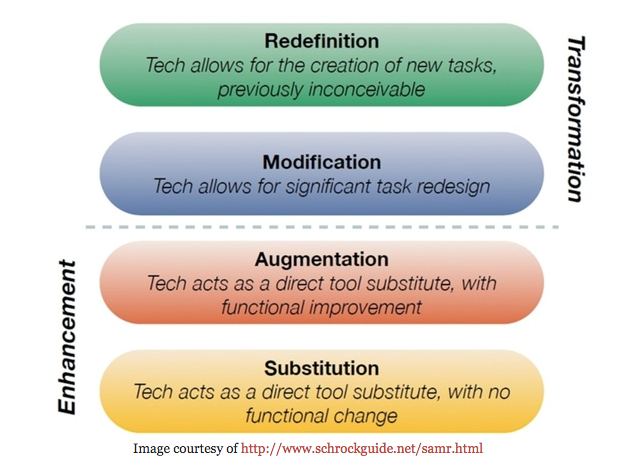 The SAMR Model helps teachers incorporate technology into their lessons. The goal is to create a variety of learning experiences so that student achievement is impacted in a positive way. The resources below are meant to aid teachers in finding ideas for how to move up from a Substitution all the way to a Redefinition level. SAMR Examples - This gives some concrete examples of Language Arts, Science and History projects using all levels of the SAMR model. SAMR Flow Chart - This has a nice flowchart for determining what types of activities fit into each category. 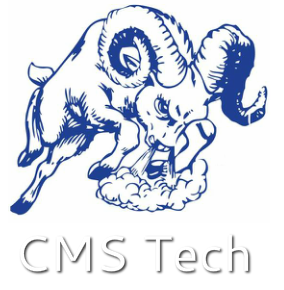 ​EmergingEdTech - This site has 8 examples of the SAMR model applied to various academic disciplines including art and PE. SAMR Examples (High School) - This site has a lot of examples in all subject areas. The website is geared towards high school but it applies equally well to middle school.